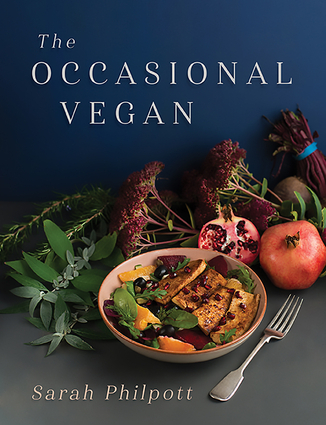 The Occasional Vegan contains 70 simple, affordable and delicious recipes, which will appeal whether you are a newcomer or a long-time vegan, keeping you well-fed and healthy. Sarah Philpott's recipes are accompanied by the story of her journey to becoming a vegan. In this book she explores the ethical and lifestyle arguments for a plant-based diet through her own experience of turning vegan at thirty. Growing numbers of people are making the same journey (the number of vegans is up 350% in the past decade), attracted by principles underlying it. Even if, like Venus Williams, you're not completely vegan, you'll find plenty of recipes here to encourage you over the finish line. And as food lover Philpott shows, embracing veganism certainly doesn't need to break the bank – her recipes are homely and easily cooked, suitable for old and young, gourmet cooks and kitchen novices, pensioners and students. The Occasional Vegan is divided into four sections: The Working Week: quick meals for busy people; Something for the Weekend: lazy brunches and Sunday lunches; High Days and Holidays: special occasions like birthdays, Christmas and Easter; Comfort Food and Children's Favourites. Each section is packed with delicious dishes and illustrated with gorgeous photographs. Health, affordability, the environment, animal welfare: there are many reasons for becoming a vegan – or becoming more vegan – and in The Occasional Vegan Sarah Philpott shows how to do it, in the kitchen and in life. Sarah Philpott is a freelance copywriter and proofreader for a variety of organizations, and a fluent Welsh speaker who has appeared on S4C and ITV Wales to talk about vegan cooking. She is a regular guest on Radio Cymru, has written for Wales Online and writes restaurant reviews for the Wriggle app and website. She has a recipe column in Cardiff Now magazine and was featured in an article about vegetarianism in the Sunday Telegraph magazine, Stella. Sarah also has a vegan food blog, Vegging It.